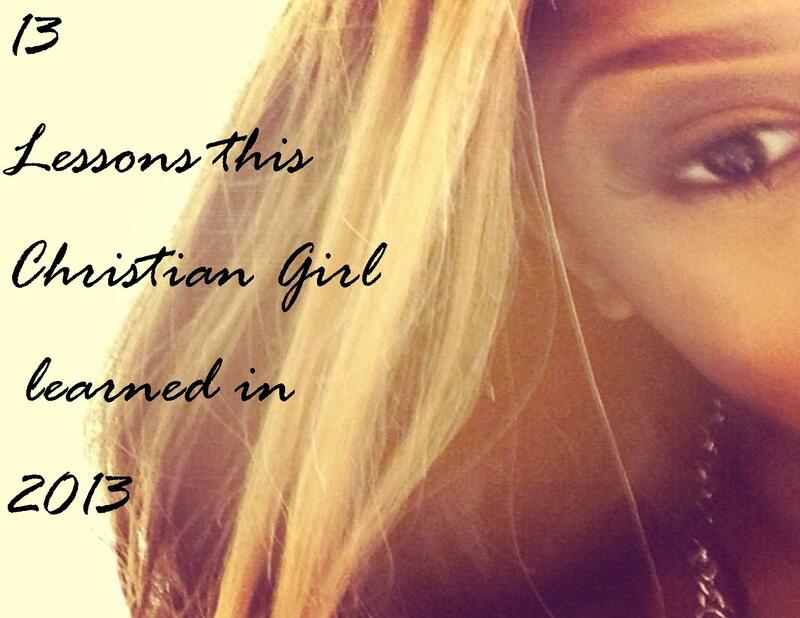 13 Lessons this Christian Girl learned in 2013, Day 12-Who Prays for you…Matters! Who prays for you…matters! There has been countless times in my life, where if someone didn’t pray for me I would’ve missed the mark. Sometimes people deny prayer because they think it’s an indirect way of someone saying that they are spiritually inadequate. In Luke 22:31-32, Jesus informs Peter of Satan’s next move. In the New Living Translation, it says : “Satan has asked to sift each of you like wheat”. Now, THAT in itself encourages me, that Satan has to ask to whom I belong to, if he can come after me. And guess what? Access denied! And the enemy has to obey, I LOVE IT! It goes without saying: Who prays for you? Who mentions you in their prayers? When they pray for you, does the enemy say “Jesus I know?! Paul I know?! But who are you? !” Is the person praying for you an enemy of God by way of an unknown or unknown sin? Is the person praying GOD’S intentions for your life or their own? Are they praying soulish prayers? If they pray for me, will God hang up that call and say “Wrong number”? Will my warfare increased? These questions are important. That’s why being planted in a bible believing church is VERY important. The Spirit of God is always doing something new and different. You have to know God’s ways not just His acts. Being in the right church will allow you to flourish in that way. For so long, I felt that no one prayed for me. I would go through so much till the point of death. I found myself in situations, where my own voice was muted and just laid waiting to hear my own last breathe. But thank God for mercy! I thank God for spiritual mothers and fathers because now when I have someone who says their praying for me; I can feel the affect of their prayers. But I have also experienced the opposite. Where I wasn’t as discerning as I should’ve been and allowed the wrong person to pray for me. And after that prayer, all hell broke loose. You know what had to happen to stop the plague? Someone else had to step in. There is NOTHING like a mother or a father to tell the enemy on behalf of their kid…that’s enough, back up and sit down. This is one of the GREATEST gifts God has EVER given to me. God thank you for teaching me this lesson in 2013. A few weeks ago, I got an email from someone who said they wanted to send me something. I thought, “A gift…why?”. I was a bit hesitant but I went ahead and gave them my address. Weeks later, I received a letter. I’m from the school of thought: Wonderful things come in small packages. When I opened the envelope, the first word was my name. The next two words were “Thank you”. I’m not sure why I paused. I’m not sure why I kept re-reading the first few words. But someone I would’ve never thought in a million years would thank me…thanked me! Even what they were thanking me for…I should’ve been the one thanking them! They gave me the opportunity. The gratitude and sincerity in that thank you put our relationship in a place where if they ever needed me for something again, I would totally be there. I love saying thank you because I know and understand people don’t owe me anything. That’s life and it’s the world we live in. How often do you hear a simple thank you for the tiniest task? Not often. How often do we tell God thank you…and mean it? I’m determined in 2014 not only will I tell God, but I’ll show and behave like I’m truly thankful.